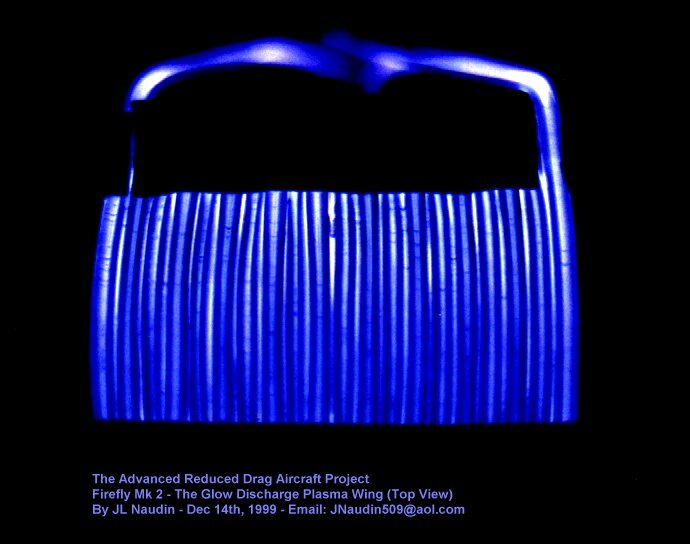 You will find below some photos of the Firefly Mk2, the Glow Discharge Plasma Wing. This is the logical continuation of the ARDA Project and this is the first step towards a new generation of flying crafts. 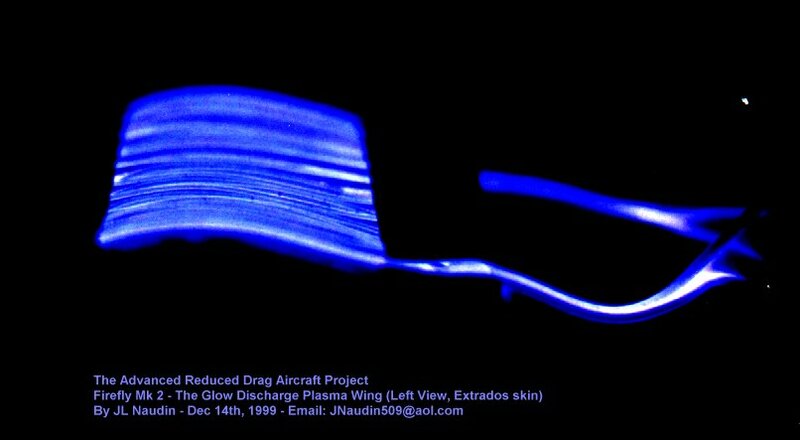 All the surface, in this case a wing profile, is covered by an uniform cold plasma generated by a glow discharge at high voltage and at high frequency. 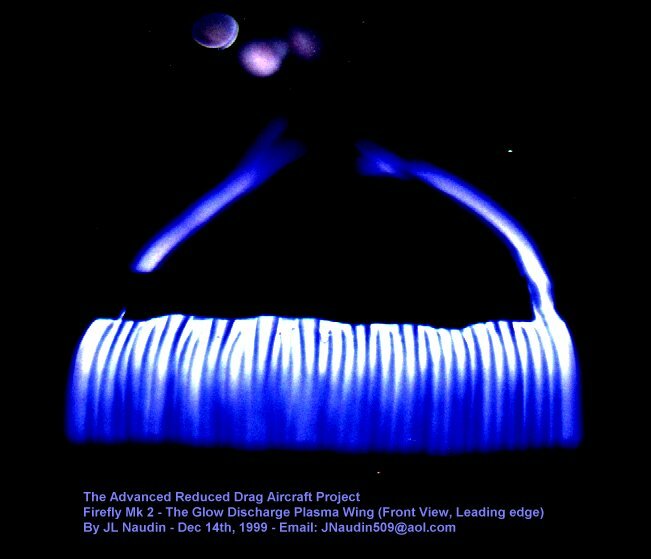 The glowing plasma is not the main source of the thrust or of the drag reduction effect. The pictures below are real photos (with AGFA HDC ISO 200-AP70/C41) of working units and not simple computer designs.